All I have ever wanted to do was help people, and it surprised no one that I chose a medical profession. For nearly two decades, I worked as a phlebotomist delivering IV nutrients to chronically ill and cancer patients and as a medical assistant at a busy Urology practice and Medical Spa. I spent just over a decade managing a Urological Oncology Clinic and Medical Spa. It was a wonderfully rewarding job, and I had a wonderful opportunity to work with some of the most talented practitioners in our state. After a few years, I decided to follow my heart and find a different way to help people. I have always been passionate about my education, and continued to studying and training under some of the best trainers in the world. It was while I was at Great Alchemy Med Spa, I earned my certification in Botox and Dermal Fillers through Empire Medical and Allergan. I also earned my Platelet Rich Plasma certification from Dr. Charles Runels, the inventor of the Vampire procedures and then I had the privilege to work alongside Dr. Emilia Ripoll, one of the country’s elite trainers in Platelet Rich Plasma. Yet, I wanted to continue to study, and find more ways to help people. I wanted to help women feel beautiful and regain their confidence. I studied at School of Botanical and Medical Aesthetics to obtain my Esthetician License. I also became certified in permanent cosmology. I am a member of the Associated Skin Care Professionals, the largest and most recognized network of skin care professionals. Shortly after that, I embarked on my greatest journey yet. I started my medical spa, Jmarie Skin Studio. It has been the best decision I ever made. 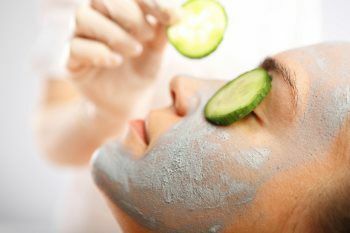 While it is important to address the cosmetic issues like fine lines and wrinkles, it is equally as important to address the overall health of the skin. I use a blend of medical and botanical aesthetics to help people feel beautiful again and get the skin back to health. I have been able to hone my skills by performing facials, chemical peels, micro-needling, permanent makeup artistry, body treatments, platelet rich plasma, dermaplaning, microdermabrasion, waxing services and injectables along with other skin care treatments. Additionally, I work with each individual to come up with a unique healthy skin care regimen that they can easily maintain at home and keep their skin glowing and beautiful. I attribute my success to my perseverance, dedication to continue my education, and my passion to help women find their confidence in their bodies. Currently, I am working towards my nursing degree. I want to be able to become a nurse practitioner and complement my work now. I want to be able to offer nutritional counseling, along with other medical treatments, and help my clients truly become healthy, beautiful people. Ray Brandon has spent over two decades working in the medical field. From a medic in the Army to an EMT there’s not much he hasn’t seen. He quickly realized his passion lay in IV Nutrition Therapy. He trained with Dr. Frank Shallenberger and Dr. Robert Rowen but has spent nearly ten years learning from and working under Dr. Emilia Ripoll, one of the country’s top physicians, doing IV Nutrition therapy, oxidative and anti-aging medicine. He is passionate about IV Nutrition because people aren’t getting all of the nutrients they need through their food and because of all of the environmental toxins and inflammation in our guts, our bodies do not break down and properly absorb all of the supplements that we are injesting. Ray takes the time to explain your needs and what nutritional IV is best for you. After working in the ER, Urgent Care, and various health centers all over Denver, Ray decided to join Jmarie Skin Studio and offer his first-rate skill set for their new IV Nutrition Therapy program. 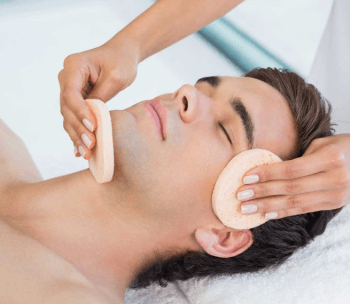 Jmaire Skin Studio is excited to have Ray join their team and offer their clients more elite services for their health, wellness, and beauty needs. When not working, he can be found coaching his son’s football team, working on his videography, or traveling around the world. Ariana graduated from the medical esthetics program at the College of International Esthetics in 2016. She worked as a makeup artist for a year before she began her apprenticeship at Jmarie Skin Studio with Jessica in 2017. Ariana is certified in dermaplaning, microdermabrasion, chemical resurfacing, microneedling, along with face and body waxing. She is also received additional training by GladLash and specializes in eyelash extensions. Ariana is thrilled to be a part of the Jmarie Skin Studio team and she is looking forward to making her passion her career. Chelsea graduated from esthetics school in February 2018. She studied at the School of Botanical & Medical Esthetics in Denver and went on to earn her certificate in eyelash extensions. Trained in dermaplaning, chemical peels, and microdermabrasion, and more Chelsea offers a wide range of skincare services along with eyelash extensions. Book Chelsea to experience a professional, fun service catered to your needs! Veronica Tristan is a Licensed Esthetician and Permanent Make-up Artist. She graduated top of her class in 2015 from the School of Botanical and Medical Esthetics. It was here she discovered her interest in medical grade skincare treatments and passion for delivering results. She is a self taught waxing and brow specialist and has been specializing in brows since 2010. While still a student at the School of Botanical and Medical Esthetics Veronica earned several accolades for her waxing expertise. She affectionately earned the name “brazilian queen” for her proficiency in female body waxing. She was deemed winner of the 2015 Brow Arch Contest hosted by Tiffany Chanel, LE and owner of Infinite Esthetics. During her first year as an esthetician she worked at a busy high end waxing studio in downtown Denver. This is truly where she mastered her waxing technique and began building lifelong clientele. Since graduating with her esthetics license Veronica has continued to earn certifications in advanced beauty treatments including Eyelash Lifting, Henna Brow applications, advanced Chemical Peels, Collagen Induction Therapy, and Permanent Makeup Artistry. Her passion for the way amazing brows can elevate the entire appearance of face is what drove her to Permanent Makeup and Microblading has quickly become her most highly sought after service. In April of 2018 she launched her private practice in Greenwood Village, CO where she works as a solo esthetician. Veronicas dream job has always been to work in a medical esthetics spa and she could not be more excited to join the highly skilled professionals at J Marie Skin Studio. Our passion is helping people integrate optimal skin care, healthy habits, and empowering nutrition into their lives to feel, look and be their best! We offer a wide variety of services, mixing medical with botanical treatments. Everything We do is unique to each client, factoring in all of their needs, to help get their bodies healthy from the inside out. From offering organic and natural skin care to injectables like Botox and fillers to reduce any fine lines and wrinkles or permanent makeup procedures such as areola tattooing for women who have had a mastectomy, We want anyone who comes to me to leave feeling beautiful. JMarie Skin Studio has two locations in Longmont, CO. The first studio is located at 738 Tenacity Dr Unit A, Longmont, CO 80504. The second is at 941 Main Street, Longmont, CO 80501. I service all of your permanent make-up and lash needs at this venue. You can contact me to book sessions at either location by phone or email, listed below. You can also subscribe to our mailing list to stay up to date on all services, sales, and useful tips on healthy habits, skin care, and nutrition.